Join me this Saturday at Fireside Follies' comics/illustration benefit! 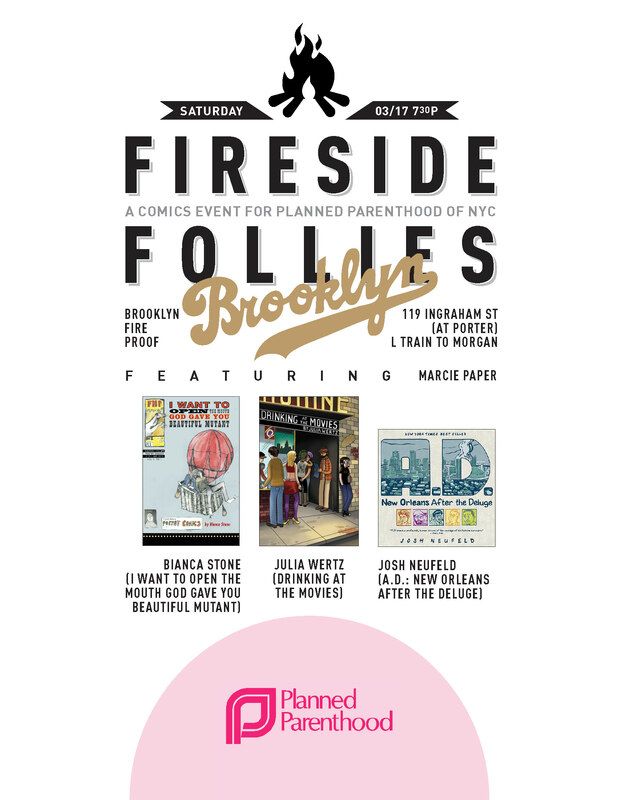 This coming Saturday, March 17, I’ll be presenting my work as part of Fireside Follies’ Second Annual Comics/Illustration Benefit for Planned Parenthood of New York City. Admission is FREE and open to the public. Donations (cash or check made out to Planned Parenthood of NYC) will be collected and are highly encouraged. Please join us for a great night of comics, drinking, and supporting an important organization. Saturday, March 17, 7:30 pm. Brooklyn Fire Proof, 119 Ingraham Street, Bushwick, Brooklyn. 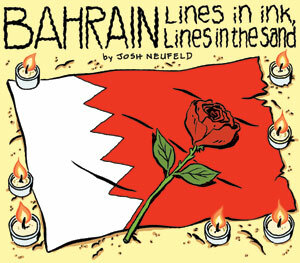 New comics story, "Bahrain: Lines in Ink, Lines in the Sand"
Debuting today on the Cartoon Movement website is a new piece of mine, “Bahrain: Lines in Ink, Lines in the Sand.” The story follows Mohammed and Sara, two young Bahraini editorial cartoonists who found themselves on opposite sides of Bahrain’s short-lived Pearl Revolution. 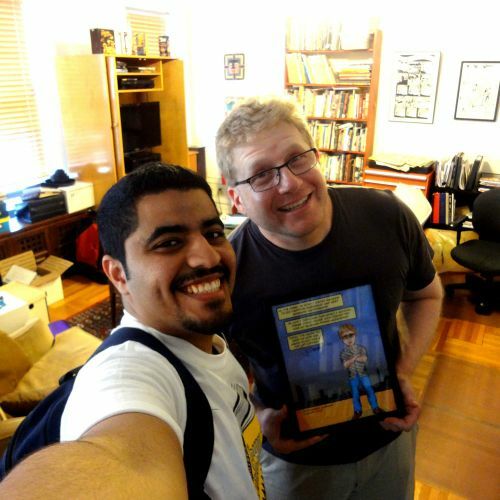 In the story I document Mohammed and Sara’s impressions of the events, through their words and experiences — as well as their own cartoons, which were published as things unfolded. As I mentioned, I visited Bahrain last year as part of a trip that also took me to Egypt, Algeria, and Israel/Palestine. I later realized that the way I was “handled” by the State Dept. folks in Bahrain was very different than in the other countries I went to. Essentially, I feel, things were whitewashed a bit, and I was not given a full sense of Bahraini society, particularly the ethnic tensions between Sunnis and Shiites. You can read my original blog posts about the trip, my first reactions to the Pearl Revolution, and my realization that I had been “duped” here. Also, Michael Cavna of the Washington Post‘s “Comic Riffs” blog wrote a very nice profile of me and the piece here. Since I finished the piece, the Bassiouni committee, which I mention near the end of the story, has published its report. You can read the original report here [a pdf], or two very thorough New York Times articles about its reception here and here.